StageGear Rentals offers a full bespoke Event Power Distribution service for your event. Whether it is a distributed mains system from your existing on site mains power supply or from hired portable genertors, 240v single phase or 415v three phase, StageGear has the solution. 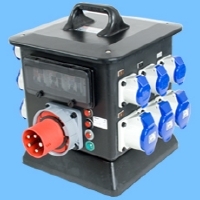 240v single phase and 415v three phase distribution boxes are availble. Professional cable protectors with two and three cable ducts. 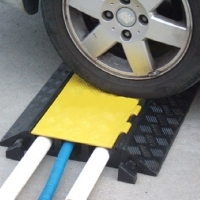 Made from recycled rubber and UV resistant high density pressure moulded Polyurethane, black with yellow lid. 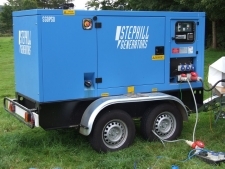 Stagegear is able to supply a range of diesel generators, 240v and 415v.